Method of transforming an element including rotating, scaling, etc. Includes support for transform as well as transform-origin properties. 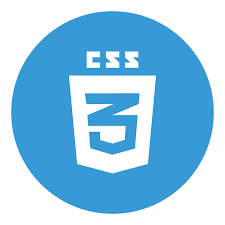 CSS3 2D transform issues are commonly seen in nearly all browserss and are especially tricky to solve in Edge browsers which is surprising because older versions of IE were supporting them, though with a prefix. For Internet Explorer and older verisons of Firefox, Safari, Chrome, and Opera, you can mitigate the problem with browser specific prefixes such as -webkit- or -moz-. CSS3 2D Transforms is partially compatible with prefix -webkit- for Chrome browser 4 to 35. This browser property is supported for Chrome 36 to 67. This browser property is not compatible for Firefox 2 and 3.Firefox 3.5 to 15 partially supports this property with prefix -moz-. Firefox 16 to 60 supports this web element. IE browser version 6 to 8 doesn't support the browser element CSS3 2D Transforms. IE 9 partially support this web property with prefix -ms-.IE 10 and 11 supports this property.Does not support CSS transforms on SVG elements (transform attribute can be used instead). Safari 3.1 to 8 partially support this web element with prefix -webkit-.This property is supported for Safari 9 to 11.1. CSS3 2D Transforms element is not supported by all Microsoft Edge browser. Opera browser version 10.1 doesn't supports this property.CSS3 2D Transforms is partially compatible with prefix -o-Opera 11.5 to 22. Opera 23 to 53 supports this browser property. With LambdaTest you can test your website on 2000+ browser and OS combinations for cross browser compatibility issues and ensure that your webpage fallbacks are working fine on browsers that do not support CSS3 2D Transforms.